HomeNew BikesBike NewsWeekly News Wrap-up: Royal Enfield Interceptor Waiting Period,TVS Overtakes Honda Sales, Pulsar NS160 And Pulsar 180 ABS Launch Dates, And More! Last week saw a lot going on at Royal Enfield’s corner. The company not only launched the Bullet ABS but also introduced new accessories for the Interceptor 650. The other big development came in the form of TVS overtaking Honda in terms of outright sales for the first time ever. Here’s what you need to know about the past week. It has been six months since the launch of Royal Enfield’s Interceptor 650 and Continental GT 650. Despite that, both bikes command a long waiting list. 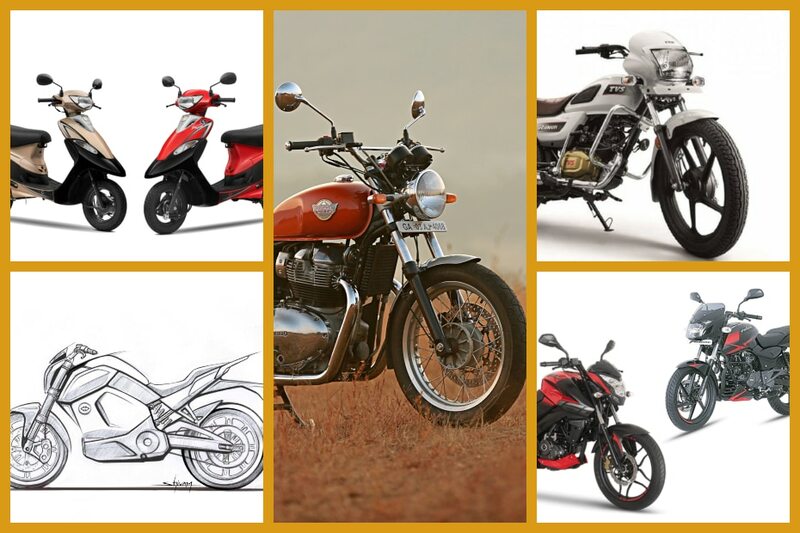 Click here to know the current waiting period for these bikes. Meanwhile, the manufacturer is developing two new accessories for the Interceptor. Know what they are here. Royal Enfield also launched its entry-level Bullet with ABS. Know its prices and other details here. While most of Bajaj’s larger motorcycles have received ABS, it is yet to update the Pulsar 180 and Pulsar NS160. But that’s set to change as our sources tell us that both bikes will get the update soon. Find out their launch dates and the reasons behind the delay here. In March 2019, TVS overtook Honda 2Wheelers to claim the second spot in terms of two-wheeler sales for the first time ever. The Hosur-based manufacturer overtook Honda, which had been leading the two-wheeler segment for a while in the past. Find out the reasons behind TVS’ growth and how other industry players fared in the month of March here. Revolt Intellicorp is set to launch its first e-bike in India soon. It’s not just a regular run of the mill electric two-wheeler. It will be India’s first AI-enabled electric motorcycles and will feature swappable electric batteries. While we were given a sneak preview of the bike, for now we can only share a design sketch of the bike. You can check it out here. It has been 25 years since the launch of the first Scooty and to celebrate the occasion, TVS has introduced a special Anniversary Edition Scooty Pep+. The scooter gets two new colours and a few cosmetic add ons. Know what they are here.